Small dogs are the cutest creatures on the face of earth. These little bundles are nothing but pure joy for their human parents. Having them around is bliss for the family. It is known that small breed of dogs face less health risks as their smaller bodies expend less energy. But nobody can claim that they are immortals or disease proof in any which ways. 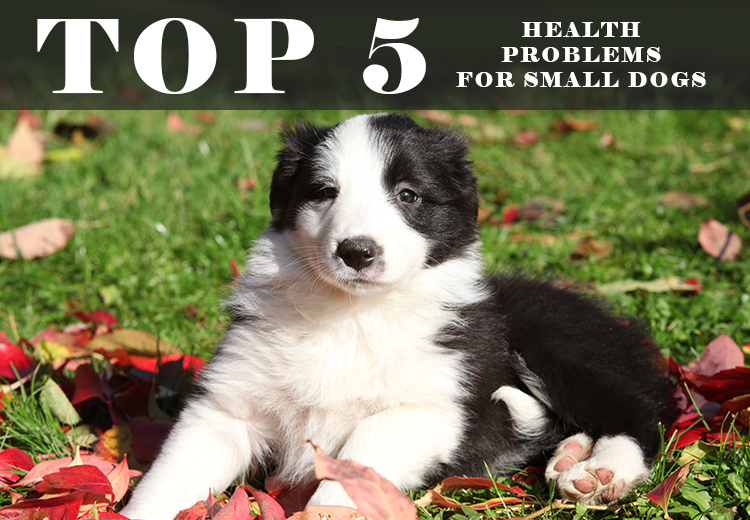 Small breed dogs like Pomeranians, Chihuahua, pugs also face many health issues that lead to severe conditions. Although these petite dogs live longer than their larger buddies they still suffer from health issues, which can be ruled out by keeping accurate knowledge about them. Pet parents of these little furry balls should be aware of their probable health issues. This will help them convert big health hazards into small illnesses with almost zero damage to the pet. Here is some info about small dog diseases so that you know the possible pit falls of pet parenting and how to avoid them. Cherry eyes: Small canines are an easy prey of this eye problem. Boxers, pugs, bulldogs and dogs with short muzzles face this problem frequently. Although it cannot be denied in large breeds of dogs, smaller ones are more susceptible to this eye problem. It can be solved through vet suggested eye drops. If that fails then surgery is the only alternative. As this popped out gland does not cause any harm to the pet and do not block its vision, one can choose not to get it removed. Dental problems: Bad breath, plaque, bleeding gums etc. are some of the dental issues related to dogs particularly the smaller ones. These occur due to lack of oral hygiene and result in causing infections in other organs like heart, liver, kidney and lungs of the dog. These issues can be easily prevented by maintaining dental hygiene. It can be achieved by canine toothpaste and canine toothbrush. So, take your vet’s advice and develop a habit of keeping dental hygiene in your pet. Brachycephalic syndrome: Little pets may look adorable with their small noses. But they may face respiratory issues because of their small facial features. Apart from normal snorting and wheezing these dogs with small skull and compact upper respiratory system may face breathing sickness that can extend up to life threatening severity. Oxygen therapy, cool environment and veterinary care are important in keeping away this syndrome from small dogs. Hypoglycemia: Toy breeds of dogs often suffer from this condition, which occurs due to sudden drop in blood sugar. Puppies face this issue between the age of 6 and 12 weeks. Dogs that suffer from this abnormal drop in blood sugar may suffer from seizures, facial tremors, weak muscles, depression, lethargy etc. In severe cases, they can go in coma followed by loss of life. Instant vet attention is a must in this disease. Obesity: Along with other major problems, small dogs can also suffer from obesity. Weight gain is common in toy dogs making them open to the risks associated with arthritis, cardio-vascular problems and diabetes. Good diet, exercise and proper diet can control obesity in dogs. Just make sure that your cuddling little friend exercises every day to be on the healthier side of life. To sum up, pet parents should keep a check on the health condition of their pet. Even if you have a smaller breed of dog, you can add a couple of years to his life by being prompt towards addressing his health problems. Keep in touch with your vet, go for regular vet visits and follow his advice. These tiny tricks will keep your petite pet ready to spend more years of joy with you. Isn’t it?